Interchangeable Cosmetic Skins: Convenient, screwless removable faceplate system holds interchangeable cosmetic skins of any design from colors to gradients, patterns to images, to uniquely suit the photographer. Interchangeable Colored Lens Ring: Interchangeable colored lens rings compliment skin designs. Slim and Lightweight: Ultra slim, lightweight, and pocketable for easy portability. 14 Megapixels: High resolution 14 megapixel CCD records outstanding detail for large prints or cropping flexibility. 4X Wide Angle Zoom: 4X wide angle zoom lens (27.5-110mm) captures large groups, sweeping landscapes, or distant subjects. 3 Inch LCD: Large 3 inch LCD with 230,000 dots of resolution is perfect for composing or reviewing still images and video. 720p HD Video: Widescreen 720p HD video at 30 frames per second captures the action from moment to moment in sharp detail. 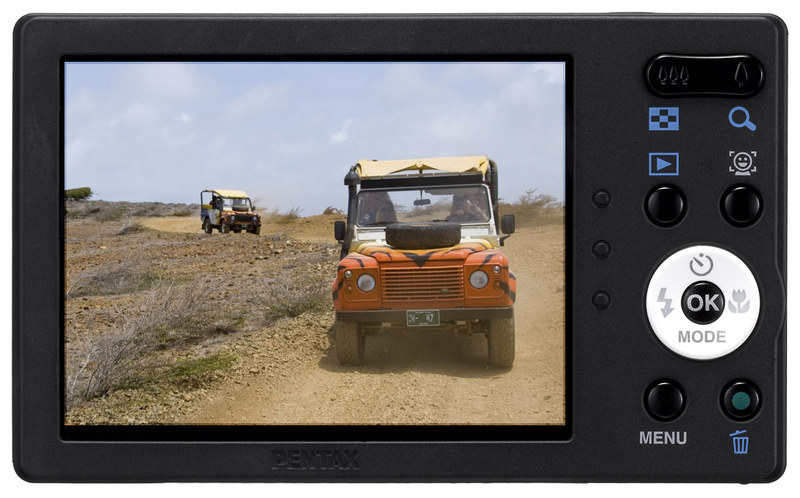 Automatic Shooting Modes: Easy to use, powerful automatic shooting modes, including the set-it-and-forget-it PENTAX Auto Picture mode, take the guesswork out of great photography. Being a mother and a pathological picture taker go hand in hand, right? In trying to capture the special moments with family and all the moments in between, I carry my camera's with me everywhere. Though I thought my compact digital camera was of fair quality, it was nothing in comparison to the Pentax Optio RS1500! The Optio's compact sleek design makes it convenient to carry with me just about anywhere. With the included fashion skins I can express my style and even match my camera to my outfit, if I so desire. 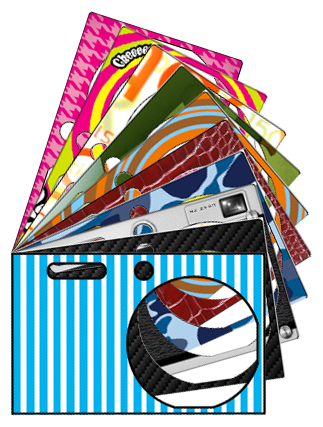 Pentax, has taken it one step further with their customizable skin templates, with your image and a printer you can design a custom skin that matches your personality perfectly. Snapping perfect photo's is simple with the Optio's 14 Megapixel resolution - the camera captures memories with a vibrant crisp perfection every time. Another plus? I love how fast images are captured with the Optio! With my old compact digital camera there was a slight delay.....and with little ones that are constantly on the move this would often mean missing that perfect shot. This camera is also pleasantly overflowing with special features and on-board editing options. The Small Face Filter allows you to reduce the size of faces in your images for well proportioned portraits, and the Natural Skin Tone feature enhances skin tone while smoothing blemishes. Enhance your pictures with a cute frame border, with the Frame Composite feature, and take your photo's to a new level of perfection with the Red-Eye Compensation feature, Cropping Tools, Resizing Feature, and Digitally Filter's. All of these features are available within the unit-and are easily navigated with the large 3 inch screen on the back of the camera. Finally! A POWERFUL compact camera with TONS of style! 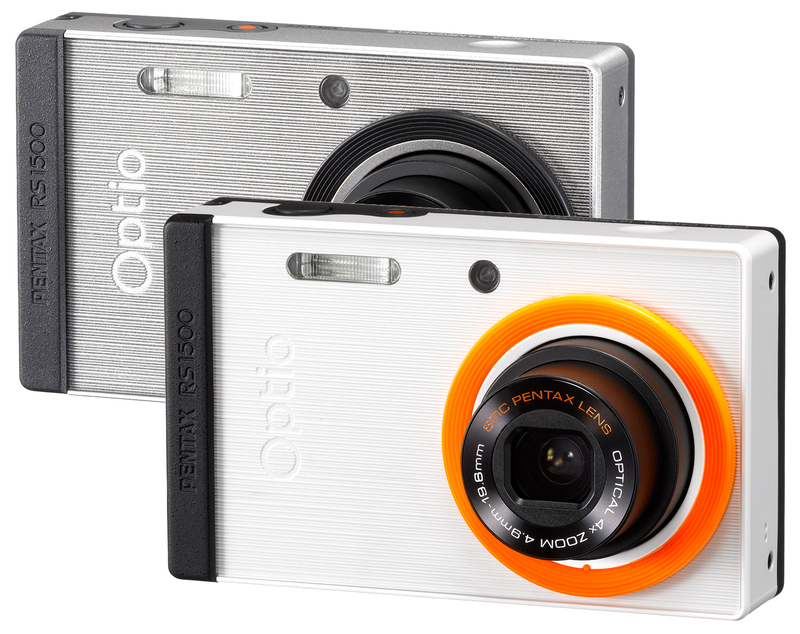 Take your passion for photography to the next level with the Pentax Optio RS1500. A Powerful Camera with TONS of STYLE! One LUCKY Reader will receive a Pentax Optio RS1500 Digital Camera (White) 10 Fashion Skins Included!- See "What's In The Box" above. MANDATORY ENTRY:Follow Pentax on TWITTER HERE (and leave a comment here letting me know you've done so). Entry to this giveaway ends on August 14, 2011.Winner's are chosen randomly through random.org.The winner will be announced within 7 days of the giveaway ending and contacted through email. The winner will have 48 hrs. to respond or another winner will be chosen. I am following you on GFC and Pentax on twitter @rusthawk. I follow Pentax on Twitter and I am a public follower via GFC. 1 I entered your ableplanet Giveaway. 2 I entered your ableplanet Giveaway. 3 I entered your ableplanet Giveaway. 4 I entered your ableplanet Giveaway. 5 I entered your ableplanet Giveaway. 1 I entered your Tidy Books Bookcase Giveaway. 2 I entered your Tidy Books Bookcase Giveaway. 3 I entered your Tidy Books Bookcase Giveaway. 4 I entered your Tidy Books Bookcase Giveaway. 5 I entered your Tidy Books Bookcase Giveaway. 1 I entered your Green Earth Bamboo Giveaway. 2 I entered your Green Earth Bamboo Giveaway. 3 I entered your Green Earth Bamboo Giveaway. 4 I entered your Green Earth Bamboo Giveaway. 5 I entered your Green Earth Bamboo Giveaway.